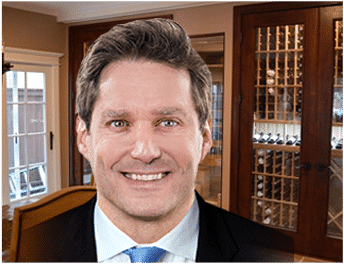 Whether you want a traditional, modern, or transitional wine room, it is best to work with an expert. In their recent project, Coastal Custom Wine Cellars, one of our partners in wine cellar construction, created a contemporary wine cellar design for a growing collection. 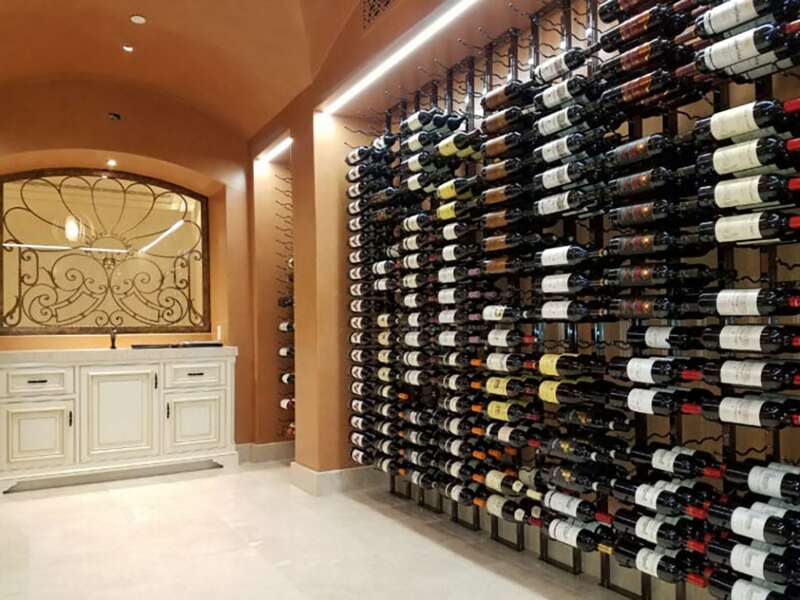 Learn how a dull room was transformed into an elegant wine cellar in Irvine using the floor to ceiling metal wine racks. Your growing collection must be kept in a room built by a professional to ensure that it will last for many years to come. Otherwise, your prized wines will go to waste. You’ve spent years searching for the best vintages. You regard them with pride and you’ve found the perfect place in your home in which to display them. Now imagine this. You walk into your room one day and find that your collection is completely ruined and there’s no way of getting them back. Working with professionals in the construction of a wine cellar will help prevent this from happening. You must also consider aesthetics when building your wine room. Make sure that you work with a creative and experienced company. For many years, Custom Wine Cellar Los Angeles has been working with topnotch wine cellar dealers like Coastal Custom Wine Cellars. In their recent home conversion project at the Shady Canyon area in Irvine, California, they created a dazzling design for a dull space. The home is 40,000 square feet. The clients had a growing collection. They thought of investing in a wine cellar that would store and display his favorite vintages safely and beautifully. Originally, the plan was to incorporate traditional wooden wine racks into the design. However, the owners changed their mind later and opted for a modern storage solution using the floor to ceiling metal wine racks. This installation project in Irvine showcases the expertise and creativity of Coastal Custom Wine Cellars. Before starting each construction, it is a standard procedure to insulate the wine room first. 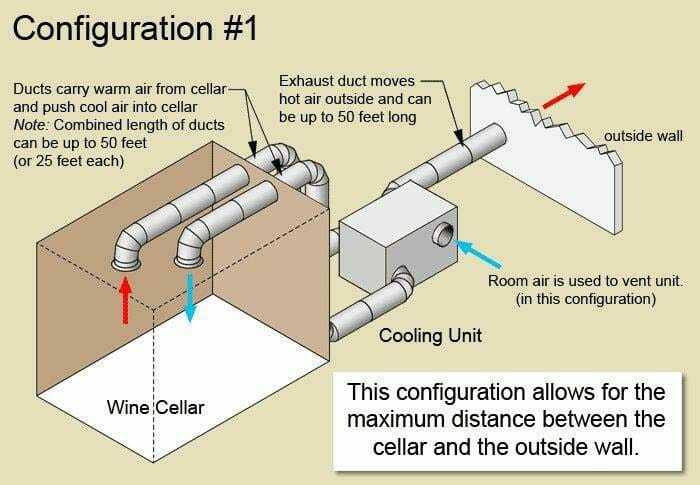 Proper insulation will create an airtight seal, preventing the warm air from entering and the cold air from escaping the cellar. 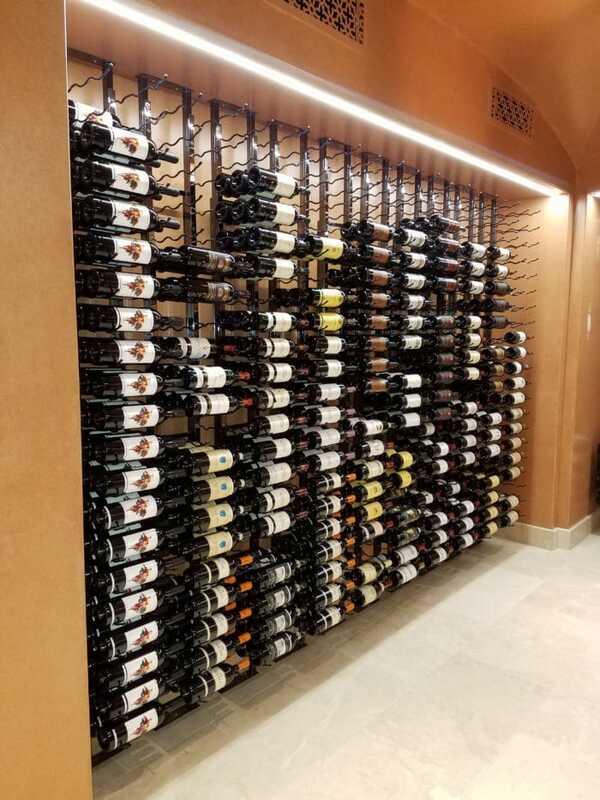 To achieve this, Coastal Custom Wine Cellars made sure that the walls and ceiling were insulated with the correct R-value. The R-value is a measure of the ability of a material to resist heat flow. The greater the R-value, the better the insulating properties. Remember that the door must be equipped with sealing components such as weather stripping and an automatic door bottom to keep the temperature and humidity constant at all times. Coastal Custom Wine Cellars is composed of a creative team of designers. 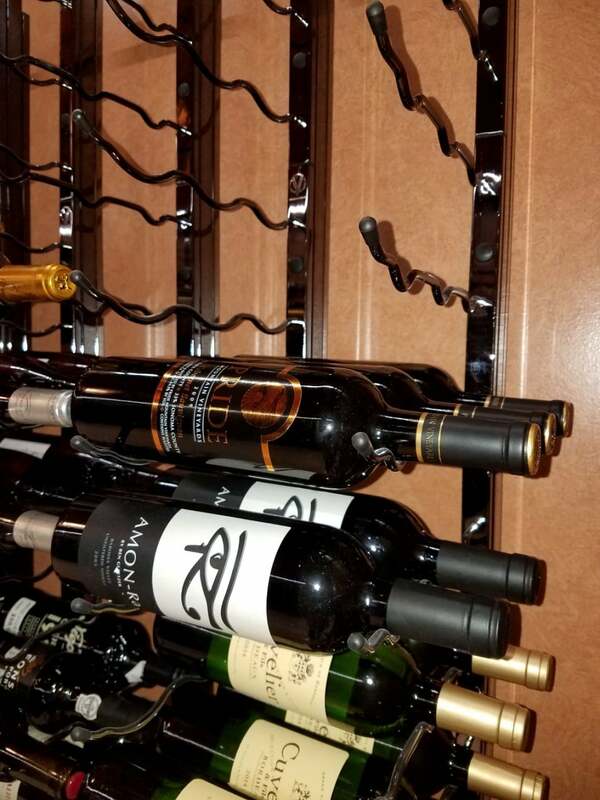 One of their goals is to be able to create a wine rack design with a “wow” factor for every client. 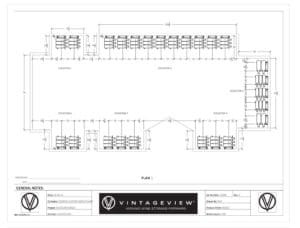 When they introduced the metal wine racks (stack storage units) manufactured by VintageView, the clients decided to choose contemporary racking over the traditional one. 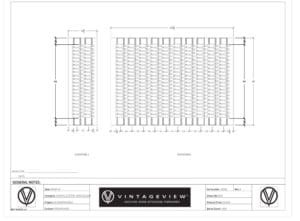 VintageView has been providing efficient and affordable wine storage solutions. Their collection of metal wine racks can create a stylish wine display for both residential and commercial applications. They are not customized. 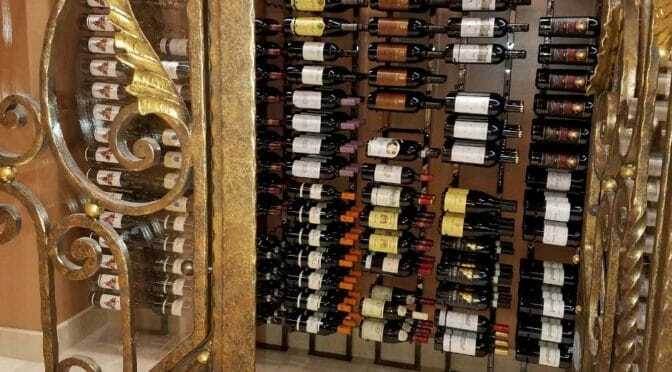 However, you can use various styles and finishes of the wine racks to create a custom appeal. 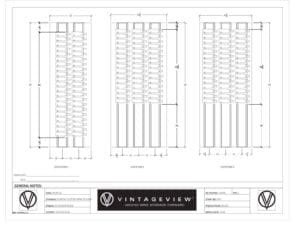 VintageView metal wine racks are available in different finishes. You may choose among these options: Brushed Nickel, Satin Black, Polished Chrome, and Black Chrome (Black Pearl Finish). The room measures 10 feet wide x 20 feet long. Despite the size, Coastal Custom Wine Cellars was able to come up with a design for more than 1,400 bottles. Installing floor-to-ceiling wine racks was the best option. This style of racking showcases the wine bottles as art and maximizes the capacity of the room while leaving more space to maneuver around the cellar. The wine racks, which are in Black Chrome, blend well with the arched wrought iron door. One advantage of this style of racking is that it allows the installation of backlighting. In this project, Coastal Custom Wine Cellars illuminated the walls behind the frames dramatically. The light bounces off and through the bottles beautifully and can be easily adjusted with a switch. 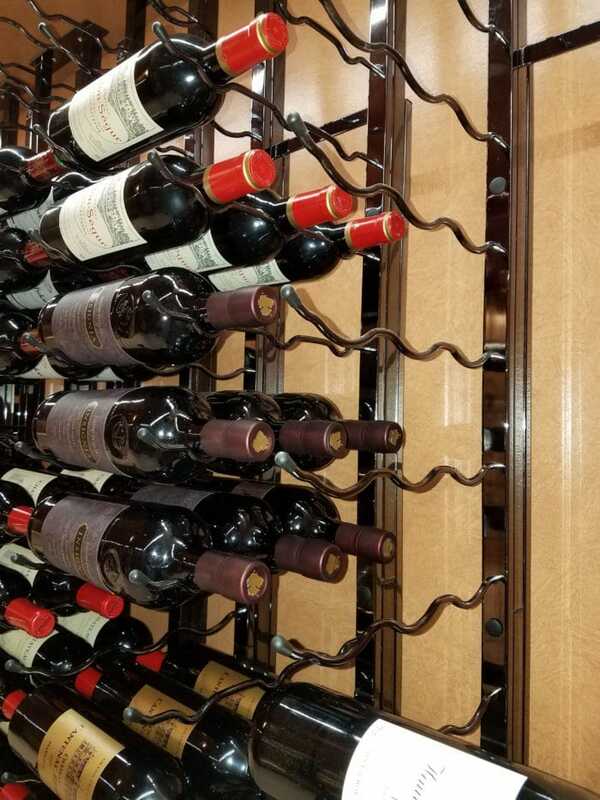 The wine racks installed were single-, double-, and triple-deep, and have lengths between 1 to 4 feet. The Coastal team included frames to preserve the quality of the extraordinary finish of the walls. The racking was designed to accommodate 68 1.5 magnum bottles. The rest of the bottle openings were intended for 750ml bottles. There are several niches in the wine room (labeled elevations 1-6 in the 3-dimensional drawing). 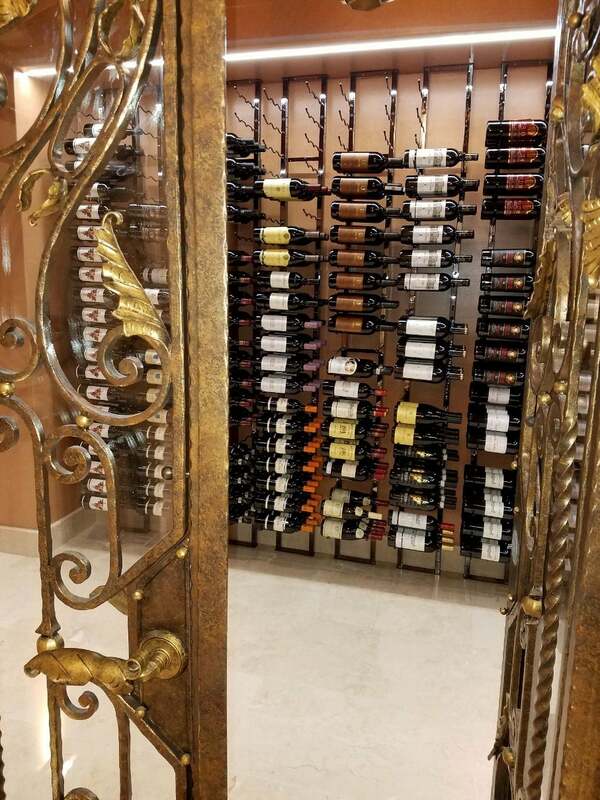 Coastal Custom Wine Cellars did not install full-height metal wine racks in some of the niches in the wine room to allow for wooden case storage at the bottom section. 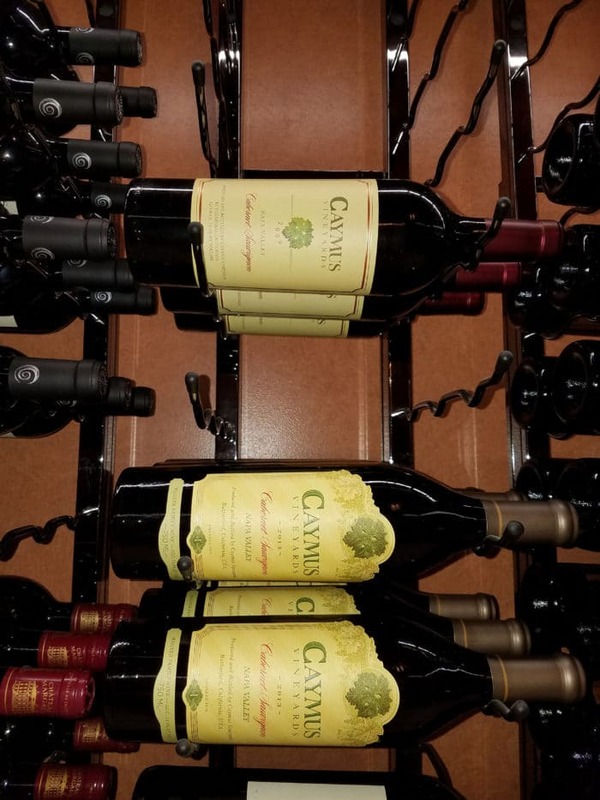 In addition to sealing the wine room, another key to achieving a stable storage environment is by installing a wine refrigeration unit of the correct size, type, and capacity. Always keep in mind that temperature fluctuations and varying humidity levels can be detrimental to the wine. You will not be able to enjoy your favorite vintages for many years to come without or with a wrong cooling system. Failure to maintain a temperature between 55 to 65 degrees Fahrenheit will negatively affect the wine’s quality. Additionally, the wrong choice of climate-control system will cause variations in the humidity levels, which will affect the cork’s elastic properties. The cork will lose its moisture, shrink, and become brittle. This will allow an unwanted amount of air to mix with the wine, resulting in oxidation. An oxidized wine tastes like wet cardboard or burnt fruit. The client found that his wine collection was spoiled because he did not have a cooling system included originally. When he tasted his wine, he was disappointed to see that it tasted like burnt fruit– imagine all of your favorite wines tasting this way. Working with someone who has extensive knowledge in cooling wine cellars will save your wine collection from going to waste. In this particular project, the client did not want any equipment to be visible in the cellar. Therefore, Coastal Custom Wine Cellars utilized a self-contained ducted wine cellar refrigeration system. Moreover, no valuable space was used up. The supply and return vents for the cold air were covered with decorative grills on one of the walls. Custom Wine Cellars Los Angeles and Coastal Custom Wine Cellars understand the importance of aesthetics in wine cellar construction. They combine form and function to create a tastefully designed wine storage and display area. 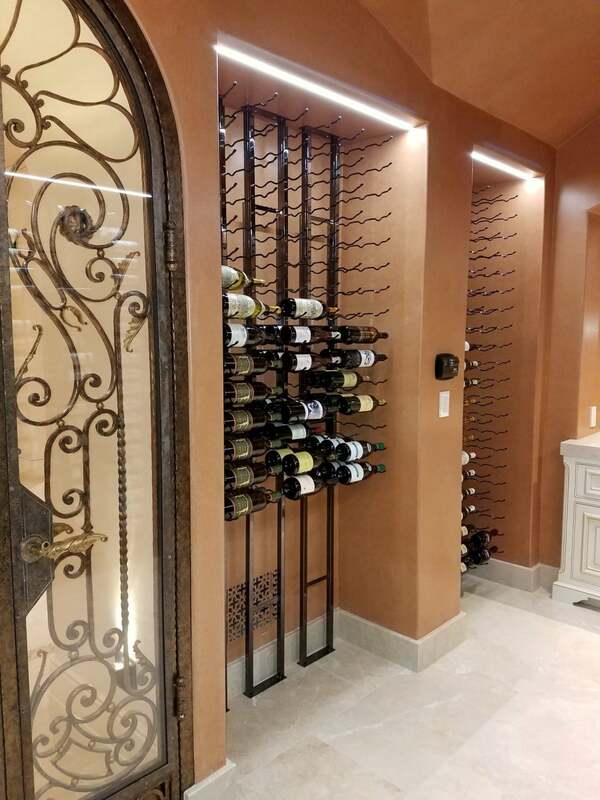 They are proud to finish this particular project in Irvine, where there installed floor to ceiling wine racks. Planning to start your project? Request a 3D design (free) and see for yourself!